Whether it’s a serious auto accident involving pricey medical bills or an accident on your property, you can quickly find yourself exposed and responsible for damages that exceed the limits on your auto or home insurance policies – and the last thing you need to worry about is an expensive legal judgment. That’s why many of our customers choose to carry an additional Umbrella Policy. Your grandmother’s 18th century china or your stamp or coin collections. Losing these items to a theft or natural disaster can be distressing but finding out that you didn’t have the correct type of insurance to cover replacement would make it even worse. It’s important to understand that specialty insurance most commonly insures those items that your typical property, casualty, homeowners or business policies will not. Standard Insurance Agency is proud to represent the following Insurance companies. You can learn more about these providers on our Insurance Providers page, or go to specific provider pages by clicking on their logo. Get the protection you need at a price you can afford. 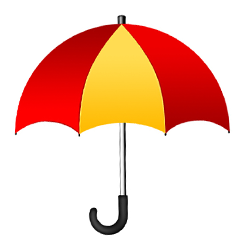 Call or request a quote for an umbrella policy from Standard Insurance Agency today.